Probably one of my favourite features in WordPress is the oEmbed features. oEmbed is a technology that allows you easily embed content from other sites that use oEmbed technology. 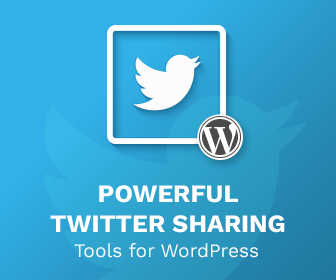 Content such as YouTube videos, Twitter Tweets or Spotify playlists can be easily embedding by just dropping a link onto a page, but with the ease of use with WordPress, it can be tricky to style these posts. One usual styling is by making sure the content is centrally aligned. This can be a bit tricky. 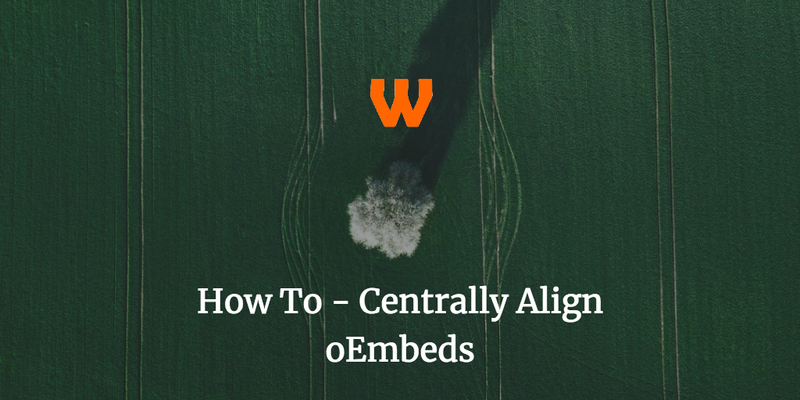 Here is how you centrally align oEmbeds, including instructions in Gutenberg. How is a oEmbed structured? To take advantage of the filter, and to begin to centrally align the oEmbed, simply add the following code to a plugin or your theme’s PHP. * @param $html The HTML aready generated for the current oEmbed. * @param $args An array of arguments. Usually brought in via a shortcode. This code will wrap the current HTML generated for the oEmbed with a div with a simple class name – oembed. This is quite simple, and with a bit of work you can expand it a bit more with more creative searches (such as using the URL to determine the type of oEmbed there is and apply a different class). After adding this code to your template’s PHP, you can add the following code to your CSS to centrally align your oEmbed. This is very similar from how to centrally align WP Flipclock. If it doesn’t work, results are cached for this filter, so you may need to use something like Transient Manager to clear the cache. This is one of those cases where Gutenberg makes life easier for the theme developer, in that the oembeds are blocks. The blocks, also, have a wrapper and have a specialist class – .wp-block-embed. There are many other classes associated with each block. For example .is-type-xyz (with xyz replaced as a content type such as ‘video’) and .is-provider-abc (with abc replaced with a service such as ‘youtube’). This will allow you to not only control individual blocks, but also services and content types. For example, to change all embeds to align centrally, use this code here. And to change all video embeds to align centrally, use this code. Finally, for all YouTube embeds to be aligned centrally, use this code. This does require Gutenberg or the new editor (which should be in WordPress 5.0) to be present, so if you are a theme developer, be sure to get involved in this. Having such a useful feature included in your theme can lead to downloads and more sales.